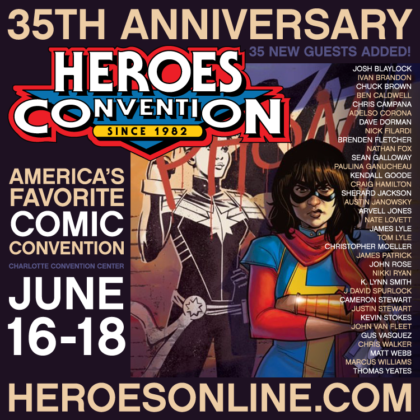 HEROESCON 2017 GUEST LIST UPDATE :: BRANDON! CALDWELL! CHEEKS! DORMAN! FLETCHER! GANUCHEAU ! STEWART! & MORE! We just added 35 creators to our already amazing guest list! Don’t miss out 35th Anniversary show June 16-18!